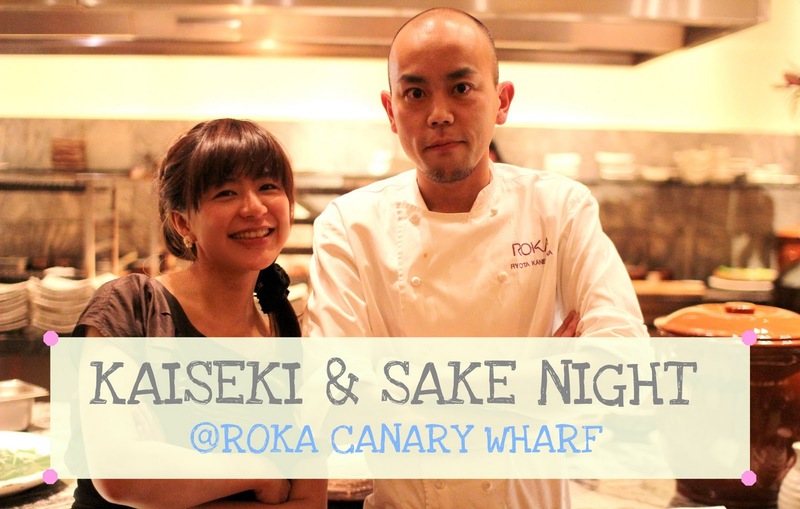 Our second "Kaiseki & Sake Night at ROKA Canary Wharf"
in support of Mr. Ito, the UK representative of Takara Shuzo. to match with various types of dishes. We were happy to host 23 guests this night. in room temperature, and in "Kanzamashi" warmed and chilled. the balance of the whole flavor. 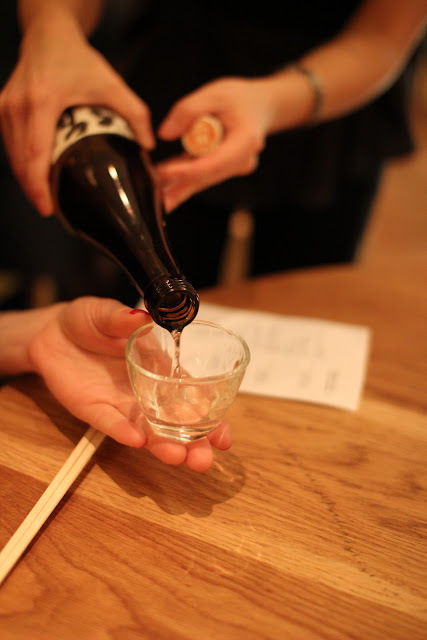 yet I would say; "The real beautiful Junmai sake taste better in Kanzamashi." Shirakabegura, Kimoto Junmaiin ice cold, "yukihie"temperature. Lastly, Shirakabegura, Kimoto Junmai in "Nurukan, warm temperature. To pair with Kamoizumi, Nigori "summer snow" from Hiroshima prefecture. just arrived London last week. Thank you very much for everyone who came to the Kaiseki Night! managers and general manager to get new inspirations. I will keep the "Washoku" spirit that he left us, and introduce Sake here in London! Many many thank you for Ryota san. 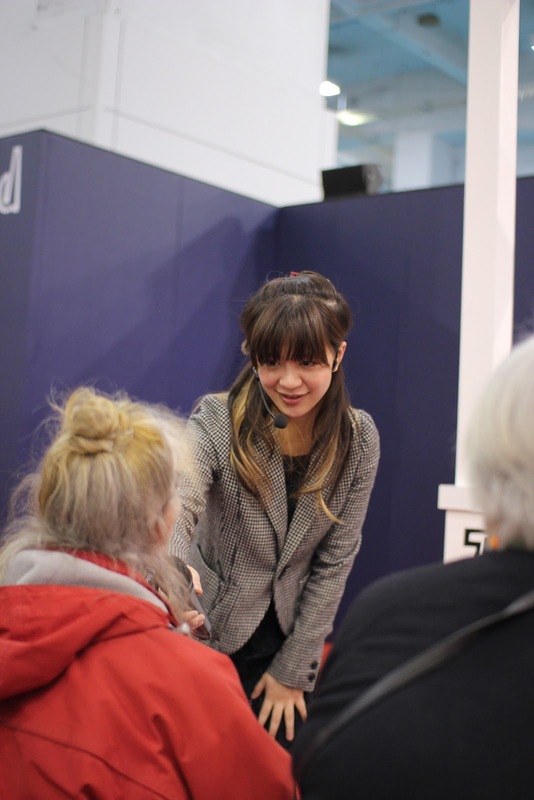 UK's largest travel show sponsored by the Times newspaper. 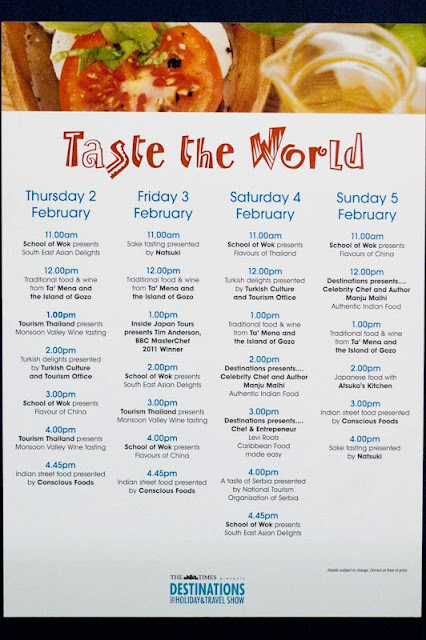 "Taste the World"on last Friday and Sunday. There were many booth of travel promotion companies to all over the world. 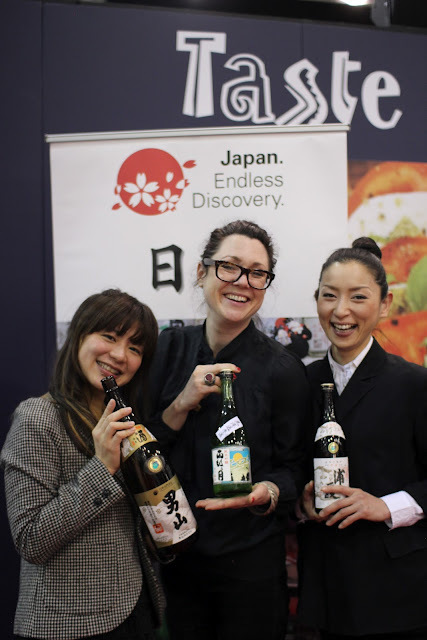 as well as giving 3 sake tasting from different appellation. surrounded by different climates and nature sources. We had tasted 3 sake of different types. had helped me contributing their documents. best drinking temperature, and production methods from the floor. and the hands raised spread equally. and lead to find your "favorite sake flavors" and "star-sake brand". Marina, my friend visiting from Japan on her business had helped me a lot today! to ask questions on Sake after the demonstration. Tim Anderson. I had met him at Visit Japan event at Japanese Embassy last year. Atsuko and Elsa of Atsuko's Kitchen! Yummy minced pork & ginger Brioche sandwich presented by Elsa. All the audience looked so happy. I cannot wait until our next collaboration. Thank you Michele for taking much photos. 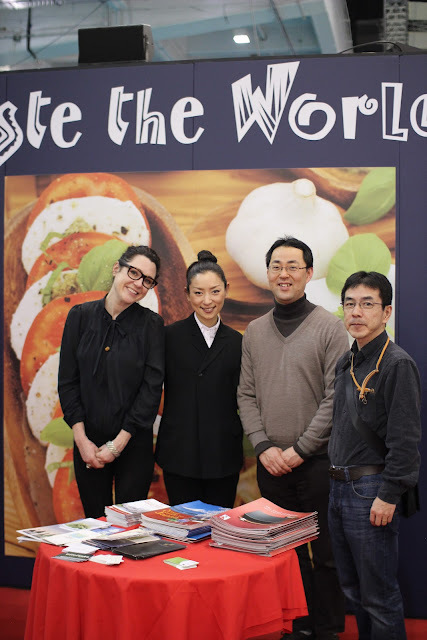 also, thank you everyone form JNTO and Chiho san who came by to see us for your support.! 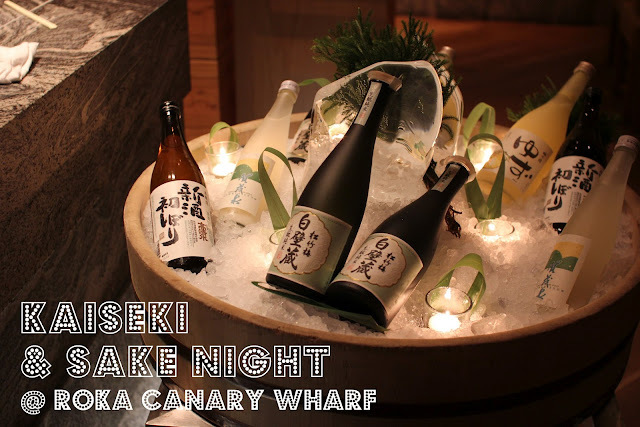 "Kaiseki & Sake Night at ROKA Canary Wharf"
Our first trial event at my company! who has much working experience of Kaiseki cuisine back in Japan. Happily, 23 friends of us came to join this event. With Tedorigawa "Yamahai Jikomi" Daiginjo. smoking Shichirin grill was arrived to each table. Special Guest! 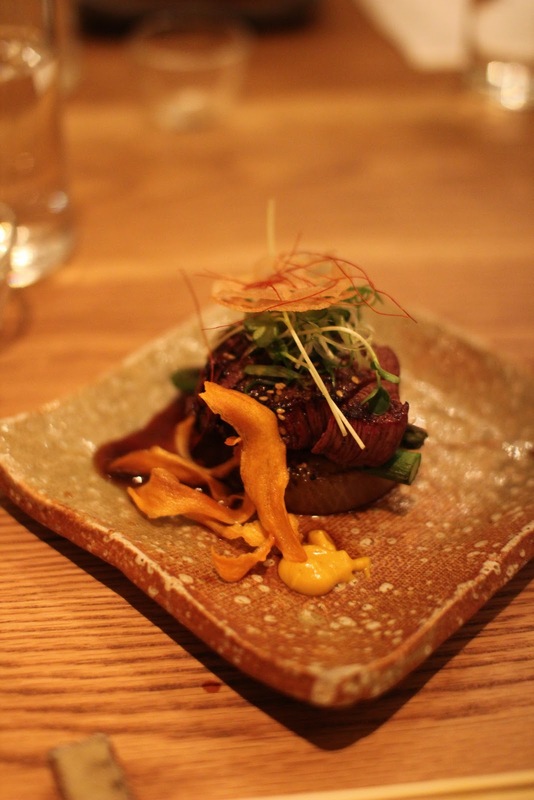 Masa san of Zuma London had came to help us out. we finish off with Kamoizumi Red Maple 2 Year Aged Nama Genshu. 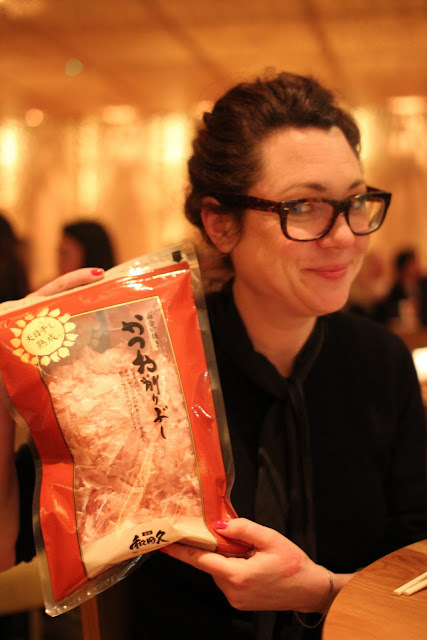 had joined us this time and gave us a big packet of Katsuobushi for every guest to bring home. to shave the freshest Katsuobushi in London. The Japanese cuisine in UK will upgrade by them! After serving all the dishes and Sake, we could finally breath and chat. All the photos this time was taken by Atsuko san! and there still are a few seats open. So please contact me if your are interested! Thank you for your amazing work, Ryota san and Masa san!